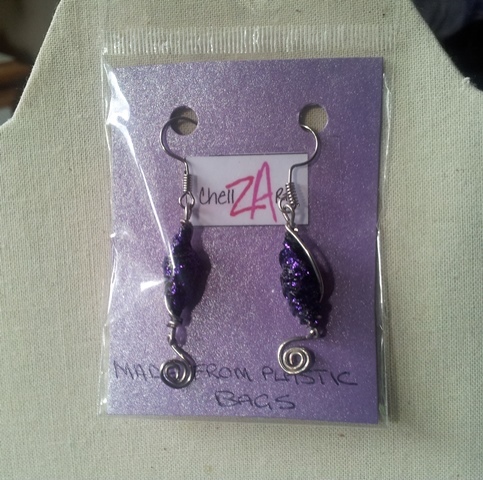 These stunning earrings are made from melted down plastic bags, painted and decorated with wire. All wire findings are hand made. They are feminine and very unique in design, perfect for the environmentally conscious who wants to make a fashion statement at the same time. 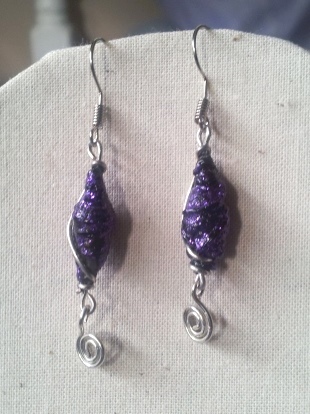 Colour is silver, purple glitter and coated with varnish for durability, although the bead is hard. Professionally packaged for that special gift.